Disclosure: I received the watch in this post free for review. All opinions are my own and may differ from yours. Mother’s Day is quickly approaching, and I’m sure you are trying to figure out what to buy for mom. I have a great idea for a gift she is sure to love: an Armitron Watch. This Swarovski Crystal Analog Watch with Rose Gold Adjustable Link Bracelet would make any mom happy. Moms always need to keep track of the time because they are always on the go. This Armitron Watch will keep her on time…maybe…and looking fashionable. Armitron has been making watches since 1956, and their quality has stood the test of time. They pride themselves in nurturing the spirit of individuality. Their mission is to make stylish and functional watches at an affordable price, so they are accessible to everyone. Armitron has a great variety of watches for both women and men. 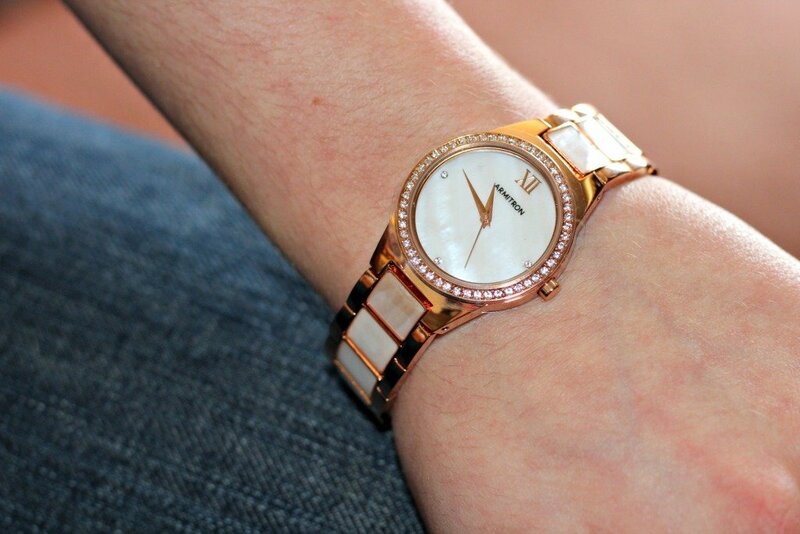 I just really love the colors of this rose gold watch with mother of pearl inlay. The Swarovski crystals really make the face of this watch stand out. Even the cat had to get in on the action. I think he was impressed with the shininess of this watch. I absolutely love Armitron’s use of real people in their photos. They want to show that their brand is eclectic. 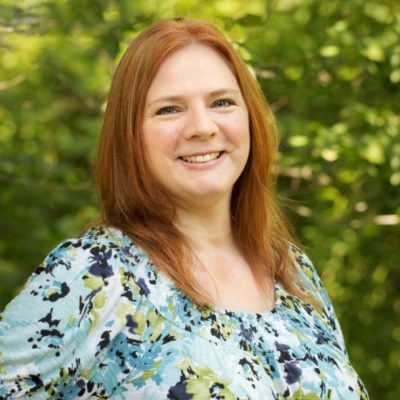 It’s about hard-working, diverse individuals with their own style. They want to inspire. They know that we don’t all fit into one cookie-cutter mold, and they embrace that fact. Though my choice may have been the rose gold watch, your mom has her own style. 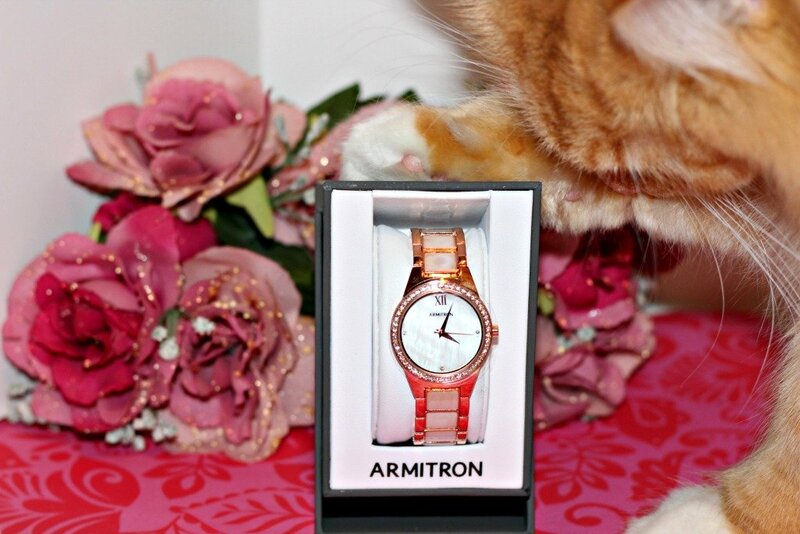 The diversity of choices is what makes Armitron a super watch for Mother’s Day. Your mom may be an active, always on-the-go mom. Or your mom might be someone who loves to dress up and always chooses the right accessories to go with her outfit. No matter what your mom’s style may be, Armitron has a watch for her. Check out all of the women’s watches available from Armitron. What watch is your favorite or which would you choose for your mom or special lady in your life for a Mother’s Day gift? Yes, they are and they’ve got such great choices! I would love one of those watches. The watch I’m wearing is the same one I wore 10 years ago. It’s time to upgrade! Yes, it is time for an upgrade! This came at the perfect time! I haven’t been able to figure out what to get my wife, but now I know what to get her. That rose/gold watch is perfect for her. Great! It is so pretty on too! This watch is stunning and I totally love rose gold! I would go wild receiving a gift like this for Mother’s Day. That watch is so beautiful! I love the classic design – smaller and daintier. I adore rose gold, and the pearlesque look is so precious! I would love to get one for Mother’s Day! I love that pearl inlay! What a beautiful watch! 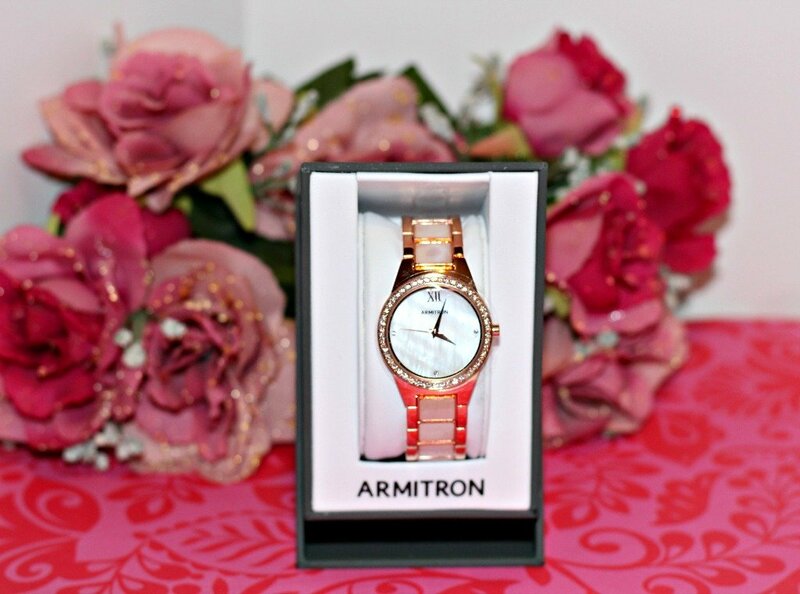 I wold love one of the Armitron watches for Mother’s Day! I better drop a hint to my family! That rose gold looks so lovely. I know my mom would love it! You’ll have to be a good daughter and get her one lol. I want this! The watch is beautiful and classy. Perfect gift idea for Mother’s Day. Yes, it would be a great gift! This is gorgeous! Very pretty! That is a beautiful watch. I would love to get this for Mothers Day. I will have to add it to my wish list. I need to make my wish list too lol! What a wonderful perfect gift! It is so classy! I like it. It is a great gift! My mom doesn’t wear a watch but my stepmom does. I’ll have to check one of these out for her. I’m been stumped on her gift. Definitely! It seems like people are going back to watches now. I guess we’re tired of our phones lol. Awesome! I need a watch phone lol. This one would actually be perfect for my mom! She loves mother of pearl on watches. So beautiful! It looks great up close too! This watch is gorgeous! I think my mom would just love it. I wear my Fitbit a lot, but this would be great for a date night. Yes, it is so cute and dressy. This would make a beautiful mother’s day gift. It can be hard to figure out what to buy the special mom in your life, so this makes it so easy! Yes and they have so many choices! What a beautiful watch. I love the idea of a watch for a Mother’s Day gift because it helps people become more unplugged…no need for your phone to find out what time it is! I know! We rely way too much on our phones! I love jewelry and really love watches! I love how this watch sparkles and looks overall! I do too. I love all of the little crystals around it! The color is stunning! I prefer rose gold hues and this is gorgeous. I think it is too!